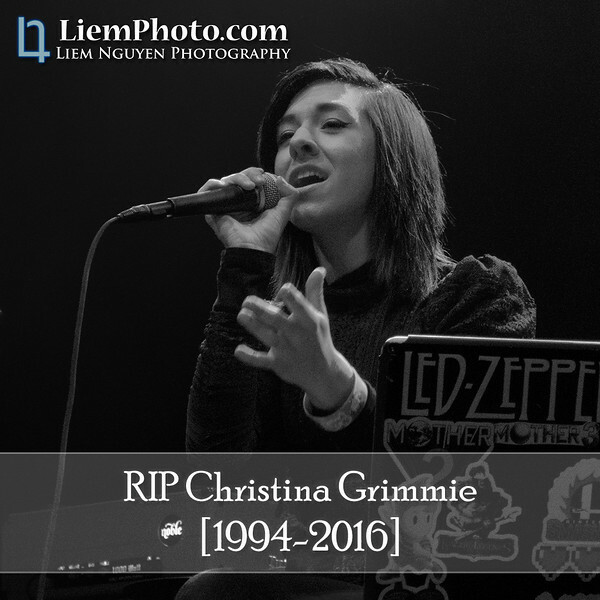 Over the past weekend, the world tragically lost an up and coming musician who was a finalist from Season 6 of NBC's The Voice, Christina Grimmie at the age of 22. Most people know her performing fabulous covers on the talent show, but many more remember her growing up on YouTube uploading videos of her doing covers as I call her a "first generation YouTuber" and grew bigger in popularity by doing collaboration covers with other YouTubers. I don't want to go into too much detail of the story of how she was killed since many of you may have already read about it and kept up with it through news and social media. This blog will be more about how this story affected me and why it has affected me more than other people as well as a tribute to pay respects to Christina Grimmie. But for those who have not heard, I will summarize the story as short as I can of what we all know so far. On Friday, June 10th at about 10:30pm in Orlando, Florida at The Plaza Live theater, Christina was shot three times by a 27-year-old male from St Petersburg, Florida (about 2 hours away from the venue) named Kevin James Loibl. He entered the premises and was armed with two handguns and a large hunting knife fully aware and intended to kill Christina and possibly others. This happened after her performance with a band called Before You Exit while she was signing autographs and taking pictures with her fans and supporters at the meet and greet. After the shooter took five shots at her and hitting her three times, her brother/tour manager, Marcus Grimmie, heroically, jumped in and tackled the gunman to the ground to try to avoid any more bloodshed but unable to save his own little sister. During the shuffle between the two, the gunman took his own life in front of about a hundred of her fans who were still present. Upon arriving at the hospital, she was in critical condition, and it was soon after when the news broke on social and news media about the situation. Close to 3am, it was announced that Christina did not make it and passed away. In the wake of that morning, social media blew up with supportive words for Christina's brother as well as wishing Christina resting in peace. The response was not just from her fans and supporters, but from other musicians and celebrities, big and small. There is still no word on the shooter's reason for the murder and if Christina knew the shooter prior to this event. Many believe it was a deranged fan that may have been stalking Christina. While the whole world mourns and tries to understand how all this can happen to Christina, Her manager, Brian Teefey, created a fund to help her family in their time of need, while her brother, Marcus, is coping with Christina's death by asking fans on his Facebook profile to post pictures of and with Christina that they have in remembrance of Christina. If you would like to pay your respects to Christina and donate to her family, click on the image below. The campaign raised $125,000 in just two days more than the asking goal of just $4,000. Below is Christina's final performance before the tragic shooting that ultimately killed her. This video was posted by "Portal POPIndie" but unconfirmed if it was the original poster or not. The last song performed was an original piece by Christina herself called "Liar Liar". 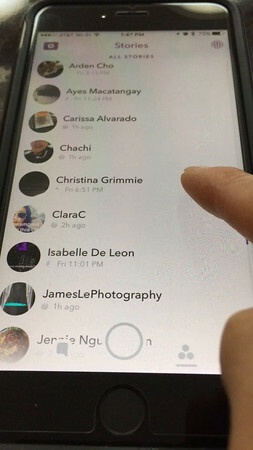 I never followed Christina on Snapchat, but interested on her final snaps before her passing, so I was able to follow her just after her passing in time to capture her last snaps before they went to Heaven with Christina. 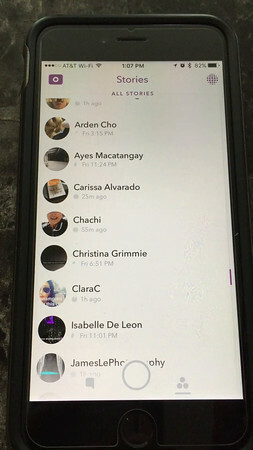 Left and first video is her second to last snap (although people are saying it is her last, which it's not) asking fans in Orlando to come and see her live. I was lucky enough to get this just less than an hour before it disappeared. The right and second video is Christina's final snap before her passing joking around about a dry erase name plate by erasing some letters and saying there's a misspelling. So with all the facts now stated, I want to explain how do I feel about this? How has this affected me? I don't know Christina personally, why would she affect me so hard? She's just another musician that passed away, right? Yes and no, there's a lot in play that makes Christina's death hit me harder than not. First, let me explain to you that I recently met Christina back on the 14th of March of this year when she opened for Rachel Platten at the 9:30 Club. And two days before that was her 22nd birthday. 9:30 Club, I feel probably is one of the more secured music venues in the area that I can think of for its size. They do full checks for people entering the venue. Seeing that I recently saw her perform live and met her after the show to get a picture with her makes it tougher to hear the tragic news now. Probably, if I met her a few years ago, I would still be in shock, but it wouldn't have hit me as hard. When I spotted Christina after the show, there was no line, so I decided to come over to talk to her and get a picture with her. She was such a sweet person and welcomed the picture and chit chat. At all honesty, before meeting Christina in person, I didn't follow her music covers nor follow her on season 6 of The Voice, but I did know of her and her YouTube cover career before The Voice. Below is a picture that I was able to capture with Christina at 9:30 Club after the show. Now, let me explain to you how this truly hit me harder with all these crazy coincidences. On the same night that Christina performed and got shot in Orlando, I won a contest to meet Rachel Platten again at Tysons Corner mall after the free show headlined by Rachel. I, then, met Rachel at the meet and greet around the same time Christina was shot at her meet and greet. Keep in mind how these two artist are linked because they both toured together and I met both of these artists back in March 14, 2016. Lastly, I just realized that Christina performed at the theater called The Plaza Live while Rachel performed at Tysons Corner Mall along an outside section of the mall called The Plaza. Everything between these two shows were just so intertwined. As deeply sadden of Christina's passing, I'm also fuming and angered of how this could happen at a music live show filled with innocent fans that range from little kids to teenagers to even adults. A family friendly show that no one expected fights, gun fire, or drugs. My analogy to this shooting is that it's similar and just as bad as a school shooting. This venue (school) is filled with kids (students) who came to watch (learn) their favorite musician (teacher). I just can't imagine how people who were present during the shooting felt; they must be so traumatized. How is possible that a person can easily bring in, not one but, two handguns and a large hunting knife without anyone noticing, regardless if there's any loopholes or not. This will definitely change the scope of how shows and meet and greets are organized and orchestrated, I'm sure. This just adds additional stress put on musicians every time they go on stage and meet fans. If it takes two to three times longer to enter a venue for everyone's safety, I'm all up for it. After hearing of the shooting that ultimately killed Christina, I thought to myself... the free show I went to see and meet Rachel Platten that same evening had no checks whatsoever before, during, or after the show. Even the meet and greet was very relaxed; too relaxed for comfort. It is a scary thought that anyone or any group of people could plan an attack; they would have no problems, whatsoever, to get passed security because it felt like there wasn't any security. My feeling is that venues that hold shows will learn from this get more strict with checks because I can see lawsuits come from the musician's family and management stating that there was a lack of security. We all will miss Christina Grimmie dearly by anyone she has touched and met or anyone who has been touched by her music and voice. I hope Christina finds peace in Heaven and that the shooter who killed himself, and took the easy way out,, suffers greatly someway. He ended a life of someone that did not get to live a full life who died doing what she truly loved: writing music, performing at shows, and meeting her fans and supporters. Please also see pictures I recently decided to unlock from my secret vault from her show back in March of 2016 at 9:30 Club at the end of this blog. I initially did not plan to release these pictures publicly because I didn't think the pictures came out good enough due to the dark lighting and from using my point and shoot. I decided to release it by salvaging them to black and white to pay respects and a tribute to Christina for her fans, her supporters, and her family and friends. To end this tribute to Christina Grimmie, I just wanted to say that this blog entry probably is the hardest one for me to write out. Putting all my jumbled thoughts and feelings into structured writing got me extremely emotional throughout the whole piece. I had to hold back a few tears to get through this blog. Be sure to also check her music out on Spotify. She has such a great voice doing cover songs as well as her own originals.